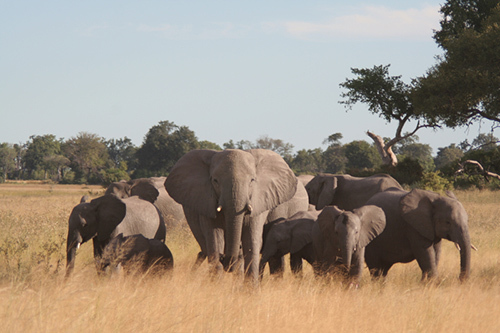 Just two weeks ago, on March 14 and 15, 2013, in southern Chad near the country’s border with Cameroon, poachers killed at least 86 elephants—maybe more. The victims included 33 pregnant females and 15n calves. The motive was ivory, for illegal trade. Elephants, of course, aren’t the only animals being massacred today for their body parts. According to National Geographic, since 2011 killings of South African rhinos for their horns has increased 50 percent (nearly 5,000 percent since 2007). The horns are used in traditional Asian medicines. The illegal wildlife trade has reached epic proportions and is now a big business, estimated to be worth billions of dollars annually. That’s why the Convention on International Trade in Endangered Species of Wild Fauna and Flora (CITES), created in 1975, has never been more important. When the triennial CITES conference closed in Bangkok, Thailand, on March 14, 2013, after accepting 55 proposals to protect plants and animals from overexploitation, conservationists and environmentalists had cause to celebrate. But will these measures be too little too late? Part conservation treaty and part trade treaty, CITES regulates the international trade of animal and plant species to ensure that such trade is not detrimental to the survival of wild populations. Currently 178 countries, including the United States, are parties to the treaty, which affords varying degrees of protection to more than 30,000 species of animals and plants. CITES decisions are legally binding and must be accompanied by enforcement measures and sanctions. This year, for the first time, at the Sixteenth Meeting of the Conference of the Parties in Bangkok, strategies about on-the-ground actions to address the elephant poaching crisis and escalating illegal trade in ivory were adopted. Rules for trading in elephants or elephant products were thoroughly revised, modernized and strengthened—especially regulations that address how to use forensics, monitor ivory stockpiles and control the live elephant trade. 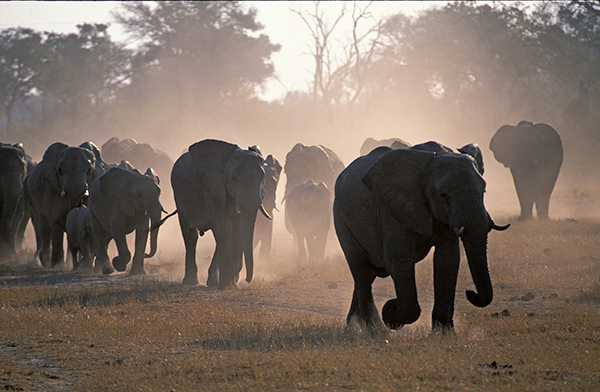 An agreement to strengthen the African Elephant Fund and the African Elephant Action Plan was also adopted. To crack down on rhinoceros-related crimes, the conference requested that countries prosecute offenders under legislation that carries strict penalties that will effectively deter such crimes. Countries where rhino poaching occurs are to submit horn samples from seized specimens to designated, accredited forensic laboratories. CITES parties were also asked to consider enacting stricter domestic measures to regulate the re-export of rhino horn products from any source and to develop and implement strategies to enhance community awareness of the economic, social and environmental impacts of illicit trafficking in wildlife. 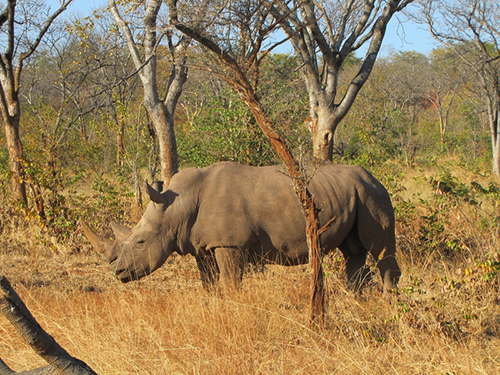 A CITES Rhinoceros Enforcement Task Force is to be created to come up with ways to improve international cooperation. While CITES is working to make bigger strides against wildlife poaching, some would point out that such measures don’t address the larger, more complicated picture of why some animals are reaching the near-extinction mark. They say that CITES fails to address habitat loss, poverty or take a whole ecosystem approach to conservation. Another problem is that CITES does not explicitly deal with market demand. If the demand for ivory and rhinoceros horn, for example, remains high, poachers will always be able to find a way to supply it. Too, CITES regulates and monitors trade by use of a “negative list,” which means that trade in all species is permitted and unregulated unless that species is on the list. In practice, then, this negative-list approach forces CITES signatories to concentrate on just a select few, leaving many species to be traded with neither constraint nor review. For example, several birds classified on the International Union for Conservation of Nature (IUCN) Red List as threatened with extinction can be legally traded under CITES because their status has not been considered. Instead, if CITES used a “positive list” approach, only species evaluated and approved for such a list would be permitted in trade. This would lighten the review burden for CITES countries and prevent inadvertent legal trade threats to poorly known species. The CITES conference in March capped its two-week meeting by including a mandate for countries with lucrative illegal ivory trades to submit time-bound plans to address the issue and make progress before next summer. I’m just not sure the elephants can wait. Do you think that the new CITES regulations adopted this month will prove to be useful tools in curbing the dramatic uptick in wildlife crimes? I agree with Greg. It cannot wait at all. Sometimes I wonder what CITES really stands for and what their objectives are, considering they gave China an award for their protection of wildlife!!?? China is actually the country in the world that exploits wildlife most. Thanks, Candice, for posting. No, its never too late. This barbaric act has to stop. Conventions and discussions can continue for a life time. We need prompt legislation and immediate action to save and protect the wild, be it flora or fauna. This has to become an international agenda, like politics and economics. Preservation of a natural habitat will in turn preserve the existence of mankind. Just how much of the anti-utilisation’s funding actually reaches the projects on the ground? Inuits and indigenous people have been hunting sustainably for eons. Leave them be. It’s the greed and avarice and hunters with small egos that we need to control; and the Eastern countries who seek ivory as trinkets and rhino horn for whatever they may believe. I have had a thought; set penalties for the possession of poached ivory inversely proportionate to the size of the tusk. So if a poacher is caught with a tusk taken from a very old elephant, there’s a penalty, but having a tusk from a young elephant would carry much bigger, more ruinous penalty. Obviously, the goal is to prevent poaching entirely, and elephant elders are of critical importance to their families, but reducing poaching of elephants who have not even bred yet seems a critical first priority. Excellent comment Phillip I totally agree with you, well worded! !May the people out there heed this wonderful advice!! According to a documentary I saw recently, legal sale of stockpiled ivory is part of the problem; since there is SOME legal ivory on the market, ivory traders can claim that their product was obtained legally, whether it was or wasn’t. Legal ivory provides the perfect cover for illegal ivory. Before CITES began allowing the legal sale of ivory that had been seized by poachers, the poaching problem was not as serious and elephant populations were recovering. The animals can’t wait, they are being slaughtered in obscene numbers for their ivory. Why can’t we appeal to the people who are buying this ivory for misguided reasons? Isn’t there a country in Africa that has a stockpile of Ivory? Tanzania I think? What if they sold it all legally because it has been stockpiled for years. This would flood the market and maybe that would last for a year until the laws could be put into place? No it can not wait any longer! Hi Candice. The illegal trade of animal parts has grown to a massive industry, unfortunately not accurately reflected in official figures. The problem is that, if you are not aware of smuggling of ivory, rhino horn, lion cubs and -bone, etc., you can only make decisions on available “facts”. Unfortunately we have no figures backed up by science of exactly what the dimensions of the illegal trade are. So, even though we know that there is smuggling and that it is well and alive, we cannot provide solid proof. Then of course, there is misinformation, provided by government officials to their minister(s), who then incorporate such misinformation into their conservation strategies. The misinformation does not necessarily point to corruption, but rather to officials who are burdened with such heavy administrative tasks that they rarely get the opportunity to follow information provided by covert operators. Unfortunately, such officials, as time goes by, later on only believe themselves, and opportunities to address the matter are lost. It’s very good to come up with anti-poaching measures for the countries with illegal ivory and horn trades ! Minimizing can be done ! But full stop for poaching is unavoidable ! In the end we genuinely feel ? Highly Appreciate Your Discussion Candice ! In this instance, I am a pessimist. Human beings are believers. Evidence of this is rampant all over the world. If a human being believes that the beating heart of a Gabon viper, quickly swallowed as it beats is a cure for all ailments, then we are all going to hunt the viper. If a tiny piece of rhino horn can cure cancer, oh wow, we have an elixer. And the beliefs continue ad infinitum. What need to be done meanwhile is to amass data on these creatures, have DNA banks, behavioral studies, pictures and any thing we can think of, and have these stored for posterity. That is all we can do about our “Dodo bird” animals. The question would then surely be – how many species will go extinct in the year that we wait? Some of the animals fates are already destined to be written. the continual expansion of humankind and it’s incessant demand on habitat and environment will determine for many species their futures. It is not too late because if we can act seriously we can salvage our rhinos and elephants. Also CITES should ban those countries with illegal ivory and horn not to sell and this will encourage them to fight poaching.